When the EPA measures to curb mercury pollution from coal-fired power plants over 25 megawatts took effect on 16 April, it was not only environmentalists who were popping the champagne corks—technology companies specializing in mercury remediation broke out the glasses as well. After all, the new regulations created a $2 billion-a-year, federally mandated business for them virtually overnight. These Federal regulations add a further 28 states to the 22 states who already have similar state-imposed mercury emission compliance regulations. This is a newborn industry that is only going to get bigger—and fast. The 16 April EPA Mercury and Air Toxics Standards (MATS) require that all US-based coal- and oil-fired electric power plants generating 25MW and higher reduce their mercury emissions by approximately 90%. With compliance deferments awarded in 2014, approximately 25% of the United States coal-fired plants operated by the power utility industry are subject to compliance with the EPA mercury emission controls in 2015. However, this is only the beginning. By this time next year, 75% of the rest of America's coal-fired plants will come under strict mercury emission regulations, while new limits expect to cover greenhouse gas emissions this summer as well. In order for coal-fired power plants to survive, they will have to find a way to comply cost-effectively. This is where new second-generation mercury remediation technology comes in to save the day. Once investors realize the door that was opened wide on 16 April, a number of small- and mid-cap plays will suddenly seem like a good way to profit on the new regulations, including: Advanced Emissions Solutions, Inc. (OTCMKTS: ADES), Albemarle Corporation (NYSE: ALB), Calgon Carbon Corporation (NYSE: CCC), Fuel Tech Inc. (NASDAQ: FTEK) and Midwest Energy Emissions Corp (OTCQB: MEEC). The largest first-generation emission control companies in this industry right now are Federal Signal Corp. (NYSE: FSS), Cabot Corp. (NYSE: CBT), Advanced Emissions Solutions, Calgon Carbon Corporation and CECO Environmental Corp (NASDAQ: CECE). However, the small-cap players will look undervalued, with some analysts predicting share prices jumping by 15%-84%. To many industry analysts, the first-generation mercury emission technological solutions missed the mark. Their activated carbon filtration technology was too expensive, using up to $5-$6 million per energy generating unit (EGU) per year. First-generation technology also missed the mark on coal ash, which was destroyed in the carbon filtration process, but could be used as a cash cushion to partly mitigate the costs of emissions control. When you consider that estimates for re-selling coal ash to the cement and concrete industry bring coal plants $450 million annually in extra income, this loss is a great one. This brings us to the second-generation mercury emissions control technology put out by smaller environmental services companies in which investors are hustling to get in on the ground floor before stocks start to soar. One that stands out is Midwest Energy Emissions Corp. (MEEC), which burst onto this scene from obscurity. This happened in collaboration with North Dakota University's Environmental Emission Research (EERC) team, which has been researching clean coal technologies for over 50 years. Not only does MEEC's second-generation solution guarantee coal-fired power plant compliance, but also it appears to be the first to do so at 50% lower costs than first-generation solutions. The technological solution developed by EERC and MEEC is a patented, cost-effective mercury capture system for coal-fired units in the US and Canada that not only allows them to meet EPA emissions stands for 90% reductions, but it allows exceeding them. However, the real advancement here is economic: The technology can be implemented for half the cost of its predecessors and at the end of the day, according to university researchers and MEEC; it significantly reduces expensive wear and tear on boiler systems. 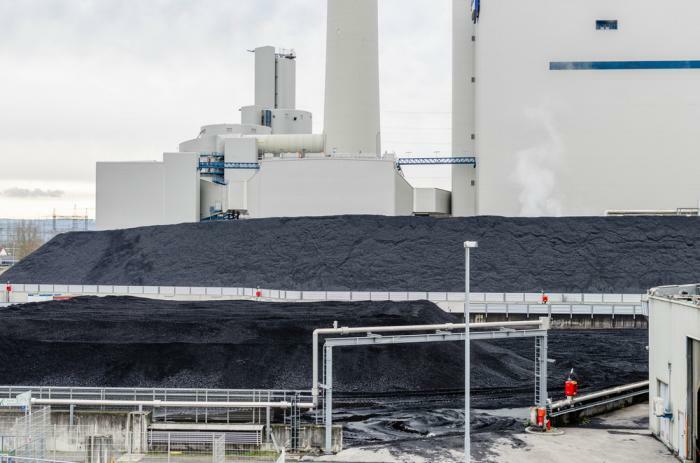 From the perspective of the coal industry, this second-generation solution could not come at a better time because it will make compliance survivable and even economical. From the broader perspective of the American economy, this is a win-win solution that allows us to hang on to coal, but clean it up cost-effectively while in the meantime, saving hundreds of thousands of jobs according to a recent Heritage Foundation research report. From a pure investment perspective, EPA regulation strongly controls new entrants on this explosive scene. However, credibility resounds most loudly with the upstart MEEC, due to its public-private partnership with EERC. The EERC is one of the world's leading developers of cleaner, more efficient energy and environmental technologies, designated by the EPA itself as the Center for Air Toxic Metal (CATM). That MEEC has already booked over $100 million of revenue from leading U.S. Utility companies speaks volumes about the potential of this technology. Overall, this brand new multi-billion sector is poised for overnight gains, with analysts predicting that the industry will outperform the S&P broader market substantially during the next two quarters, and beyond, as coal-fired power plants work towards compliance.